PleuraFlow® has been recognized with a 2011 Spark Award. 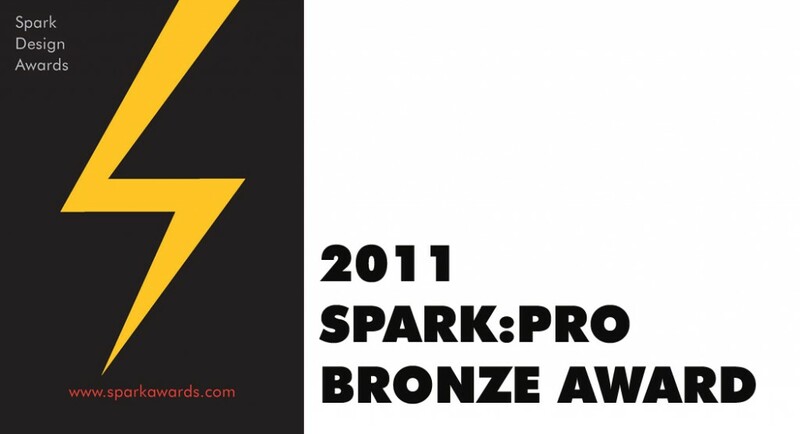 The winners of the 2011 Spark:Pro Awards were selected this week by a jury of experts from design media, and education. Encompassing a spectrum of categories including architecture, graphic design, branding, and product design, the Spark Awards recognize design’s ability to act as a catalyst, address problems, and improve lives. Winning a Bronze award, the PleuraFlow® Active Tube Clearance® System is the first chest tube with a mechanism for actively clearing blood clots. After heart or lung surgery, chest tubes are installed to drain fluids and air. Unfortunately, these tubes routinely clog with blood clots and debris putting the patient at risk for potentially fatal complications. With PleuraFlow®, a guide sleeve outside the tube is connected via magnetic coupling to the internal guide wire. This allows the nurse to manipulate the wire by shuttling the guide sleeve back and forth along the tube. This configuration enables nurses to prevent blockages by quickly clearing debris build-up—even the unseen build-up inside the chest cavity—without breaking the sterile field. Designed and developed for Clear Catheter Systems and manufactured by Xeridiem, PleuraFlow® delivers better patient outcomes while reducing pain due to traditional, marginally-effective, clot-clearing methods. Spark winners, media, and design fans will gather October 21st at the Autodesk Gallery in San Francisco for a celebration and exhibition. The Spark winners will also be showcased in Guangzhou Design Week, one of the largest, most influential and comprehensive international design festivals in China. Winning designs will also be featured in Spark’s first annual yearbook being created by world-famous designer Kit Hinricks of Studio Hinrichs.